Dharini and Chitresh’s wedding celebrations at the Anantara Kalutara Resort in Sri Lanka was packed with fun parties, regal themes and Bollywood glamor. 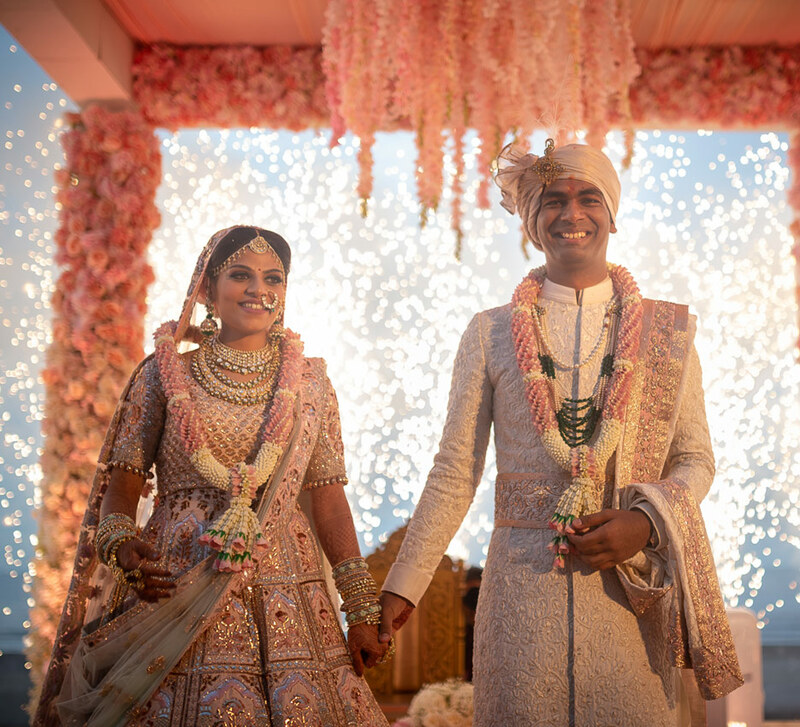 Chitresh and Dharini's wedding festivities unfolded in the tranquil shores along Sri Lanka's southwest coast, within the lavish environs of the Anantara Kalutara Resort, famous for its warm hospitality, sea facing vistas and elegant decor. 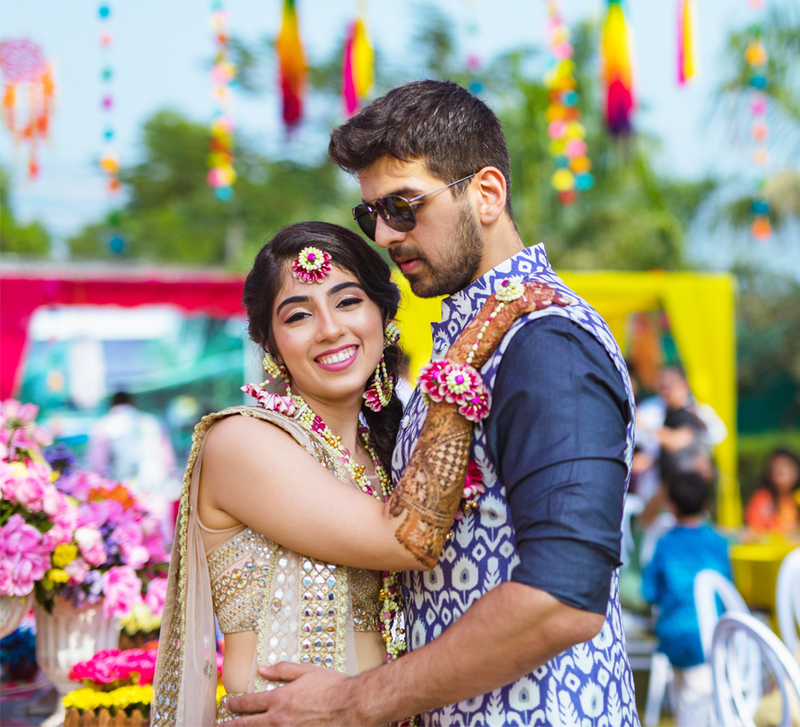 Here, bride Dharini shares highlights of the celebrations deftly captured by WeddingSutra Favourite - Israni Photography. Dharini is from Jaipur, Rajasthan, while Chitresh hails from Raipur, Chattisgarh, but is currently based in London. 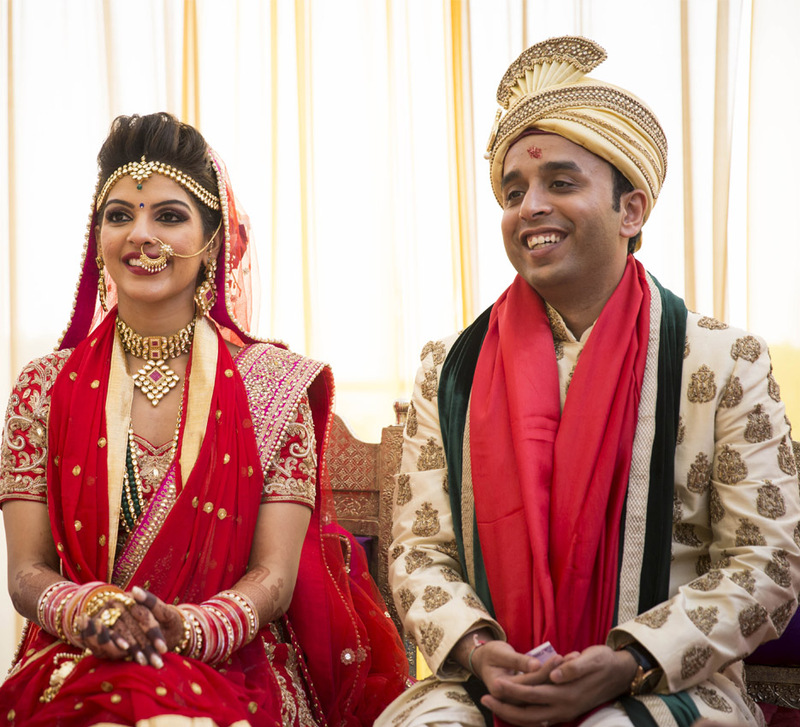 Dharini shares, "Ours was an arranged marriage, but our journey started long before we met. When Chitresh's sister visited me, we enjoyed a friendly conversation for around an hour and after a couple of days, he gave me a call. Gradually, a conversation of a few minutes a day turned into a few minutes every hour. Over time, we discovered that we were very compatible with each other and were very excited to meet each other. Within a month, Chitresh came to India for the formal gathering of our families." "Our wedding venue was the exotic Anantara Kalutara Resort in Sri Lanka. This resort has a pristine private beach and plenty of outdoor activities. It proved to be the perfect destination for our guests to enjoy the wedding and as well as the amenities of the venue. Our parents picked this property as we both believed their judgment to be the best. 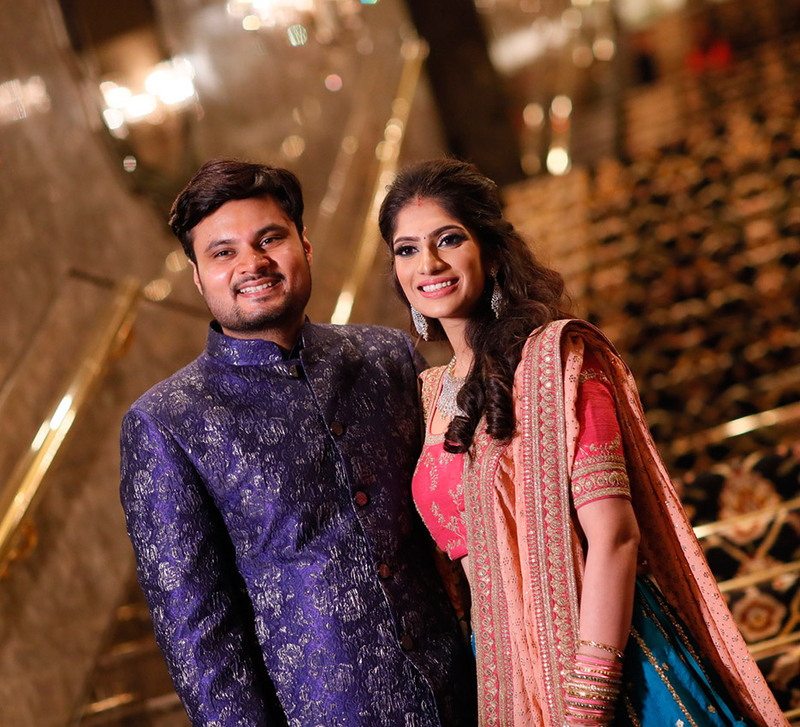 We celebrated our union with a pool party, sangeet and the pheras at Anantara Kalutara Resort, while the rest of our functions were held in our native place back home." "The wedding festivities kickstarted with a pool party that had a vintage layout inspired by the nautical trend which included beautiful maritime scenery like ships alongside bikini-clad mannequins and sailors. We gave away sailor hats and sunnies to our guests. The first few hours were all about mingling, and it gradually turned into a buzzing pool party with floats, games and lots of people being pushed into the pool! For this event, I wore a stitched saree by Gaurav Gupta while Chitresh donned a pale pink shirt with a floral jacket." "The sangeet theme revolved around a Bollywood movie theatre, and the decor included charming origami elements. The sangeet invitations were designed to look like movie tickets. We had a box office set up to welcome our guests at the entrance and a selfie photo booth conceptualized to look like the cover of the Vogue magazine. The bespoke decor had a glamorous feel with bright lights and props that created the perfect vibe for the guests. The sangeet ended with lots of dancing. Our DJ was so good that our guests partied till late into the night. Chitresh looked dashing in a cowl kurta and blazer, and I wore a beautiful grey gown by Manish Malhotra." "The theme for the pheras was inspired by the royal splendor of Rajasthan. The decor included magnificent chandeliers, candles, and red roses. My red lehenga was designed by Sabyasachi Mukherjee, and I accessorized it with Kundan Meena jewellery from Rambhajos. Chitresh was styled in a sherwani with a maroon velvet stole, turban, and ethnic shoes, also by Sabyasachi.” The couple made a grand entry to the venue which was decorated in a minimalist yet artsy style with floral arrangements and red drapes. The bride’s makeup was all about highlighting her eyes alongside a subtle, soft look that made her look radiant all through the function." "I truly believe that couples should enjoy the moment with their partner and family members. Cherish every moment of that big day while it lasts!"